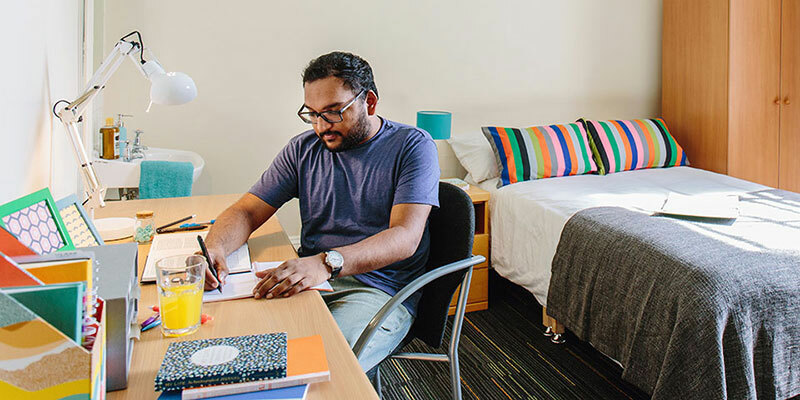 If you are a new member of staff at the University or a visiting academic, then the Accommodation Office may be able to help you find temporary accommodation. The University of Leeds has a selection of property that is available to rent on a temporary basis* which might just suit your needs.There are several types of properties to choose from; from one-bedroom en suite rooms to two-bedroom houses. If you are interested in renting staff accommodation, please fill out the online application form. Please be aware that due to the limited number of properties, it is not always possible to find a suitable vacancy and we are unable to guarantee that you will be allocated a property. For visits shorter than three weeks, the University has on campus accommodation at Storm Jameson Court. You can book with a debit or credit card here, using the promotional code UOLSTAFF to get a reduced rate of £40 per room per night. If you wish to pay using a University account code, please contact the Conference and Events team at enquiries@meetinleeds.co.uk for details. We can also provide you with a portfolio of hotels and serviced apartments. Please contact us at accom@leeds.ac.uk for details. If you prefer to find permanent accommodation within the private sector then take a look at the links below which include all the information you need to get started, including house hunting tips, local and national websites to search and a list of NAEA & ARLA affiliated local estate agents. Here you can find all of the information you need about working for one of the world’s most successful international universities. If you are considering relocating to Leeds, whether nationally or internationally, this site aims to help you decide if this city is the right place for you and your family to live and work. If you decide to join us, this site has lots of practical information and support to help make your move as easy as possible. *NB The minimum contract length is three weeks and the maximum stay is 3 months.